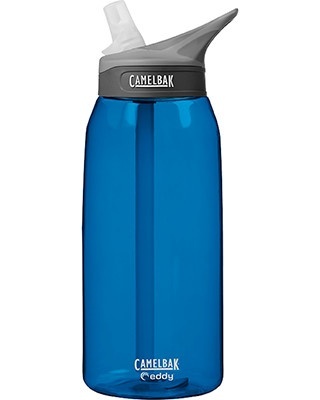 Add a little extra ‘oomph’ to your next promotion with the compelling flood of awesome found in a custom CamelBak water bottle! The generous 1 Liter (32 oz.) Eddy water bottle offers the classic CamelBak Bite Valve and straw system that makes drinking on the go a breeze and totally spill-free. This BPA-free water bottle also features a standard threaded lid with integrated carrying loop and a smooth ergonomic body for easy gripping.